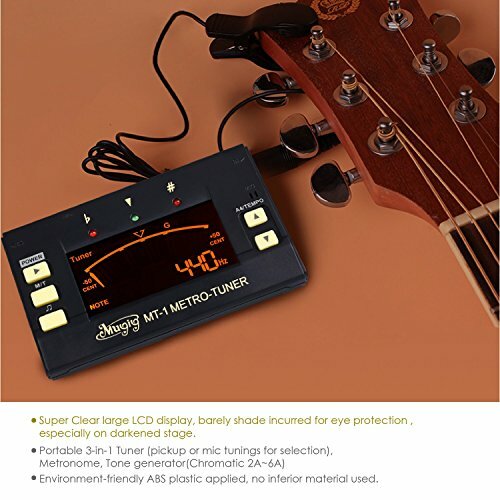 Super Large LCD display (38% greater view) makes it easier for your eyes to tune your instruments , especially on darkened stage for elderly people . The screen is also very bright , barely shade incurred for your eye protection . 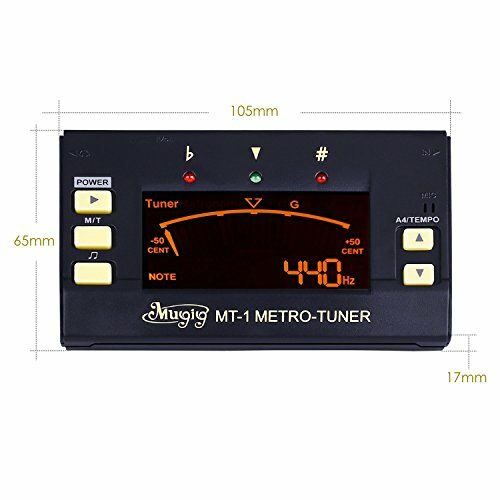 Portable 3-in-1 Tuner,Metronome,Tone generator,all in one product. 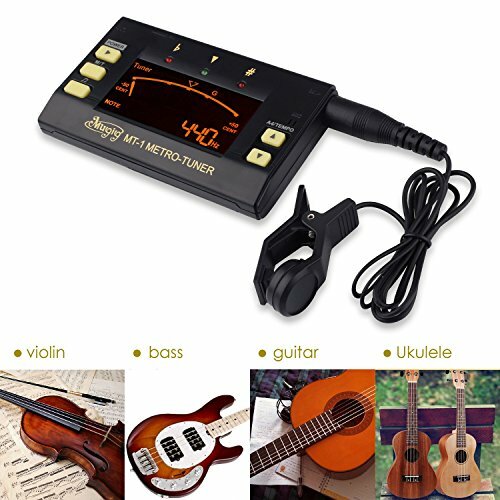 It supports various tuning modes (Chromatic, guitar ,bass, violin,ukulele ) and pitch calibration from 430hz to 450hz. 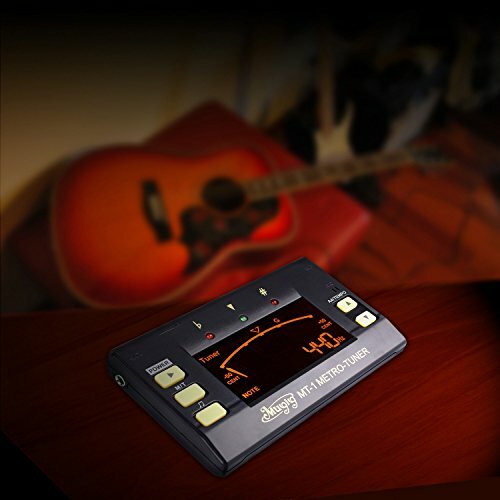 You could tune your instruments with the clip-on pickup or the built-in microphone in quiet environment with low ambient noises. 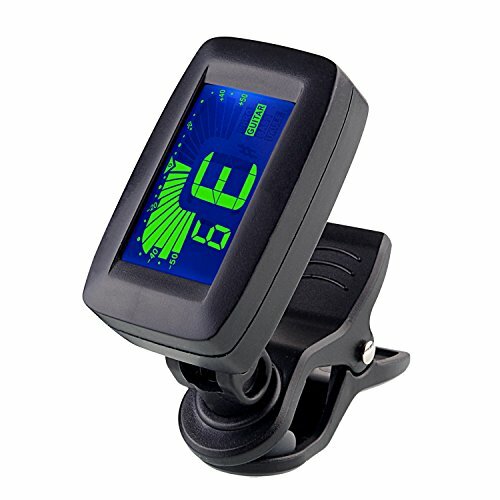 8 different rhythms and accents that you can have it play at a wide tempo range of 30-250 Beats Per Minute as you want. There is also a headphone jack that you can use on your own without disturbing others. A little kickstand in the back to help the product stand up . 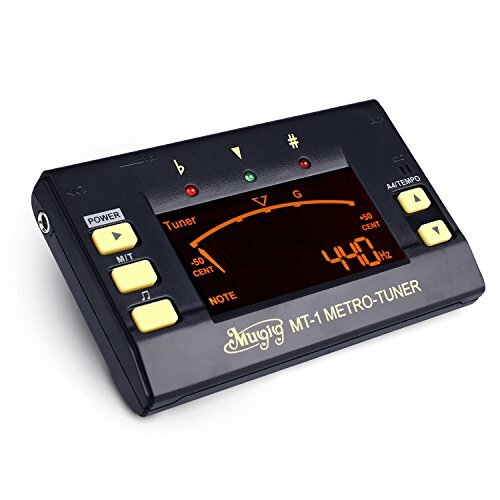 Mugig MT-1 is a great 3 in 1 metronome + tuner + tone generator. Your practice will never be the same with it. 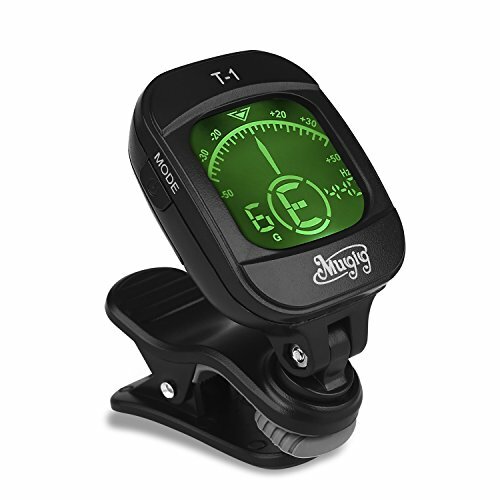 – Large two-color LCD display(38% greater view) ideal for tuning on darkened stage. 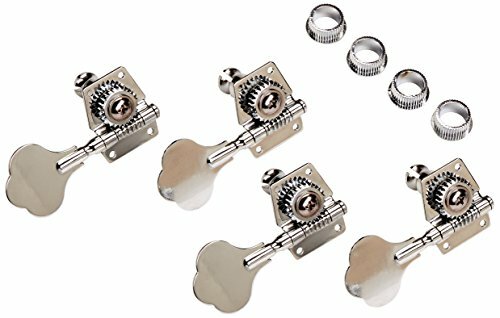 – Bass or Guitar can be tuned flat up to 4 semi-tones. 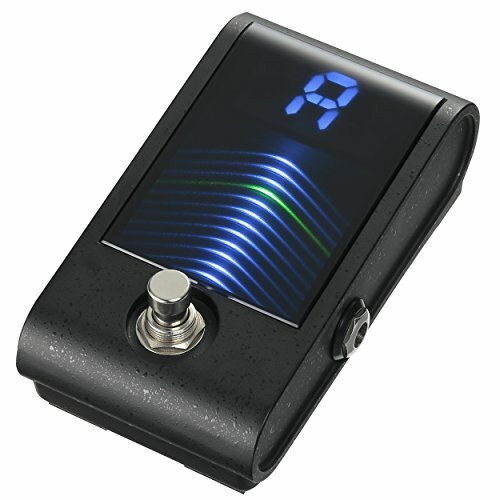 – 8 rhythms to help you reach the higher level. 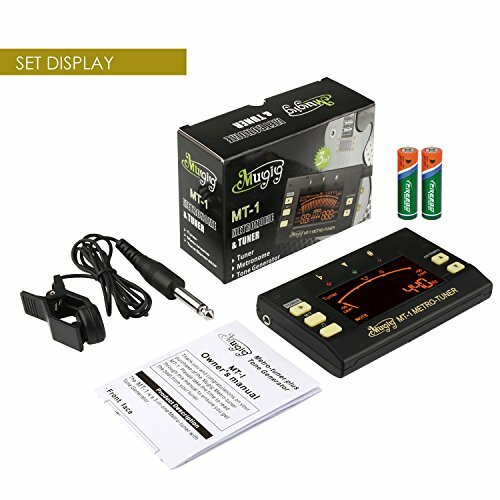 A clip-on pickup and two batteries are included on the package. Low defective rate of less than 0.1% ,which is much far below the industry for electronic products. Lifetime warranty without questions asked. Scientific design with solid construction ensure no break in use.Environment-friendly ABS plastic applied,no inferior material used. 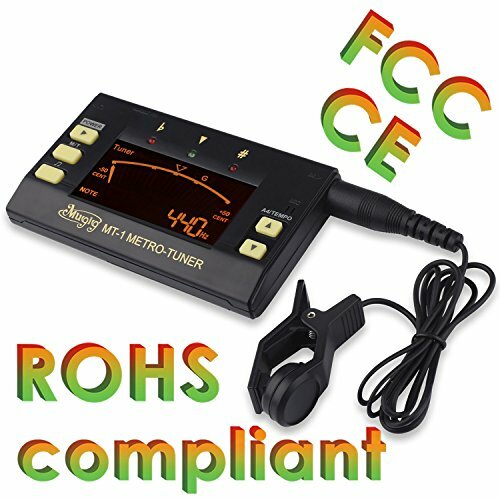 FCC/CE certified,ROHS compliant.